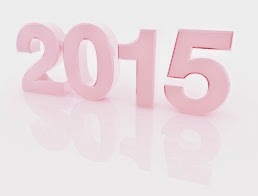 vision forum: Welcome to 2015 and the year of the goat. Welcome to 2015 and the year of the goat. Vision Forum wants to thank everyone who has contributed to making 2014 and the year of the horse so creative and enjoyable! Have a look at some of the 70 entries to our blog or a selection of photos from this year's events and it will give an idea about the richness and variety that we have lived and all the pleasures we have experienced together. We look forward to discovering 2015 and the year of the goat in your company and to find new friends and colleagues. The year is bringing lots of exciting changes for Vision Forum and you will of course be able to read all about it here! Thank You and we look forward to sharing the new year with you!!!! Labels: 2014, 2015, year of the goat, year of the horse, year of the sheep.